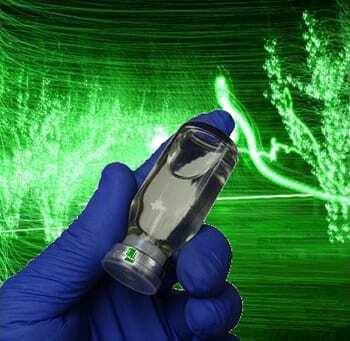 Researchers have discovered a low-cost method to deliver carbon dioxide (CO2) to microalgae. Although the growth of microalgae can be sped up by carbon dioxide, the CO2 has to be free of contamination or the algae die. Researchers from the Melbourne School of Engineering have found a cheap way to purify the carbon dioxide within the power station flue gasses by absorbing the CO2 into a liquid, allowing it to be delivered to microalgae, which makes it possible to harvest the microalgae and make biofuels. This purification process is typically expensive and requires a lot of energy. While it’s no secret that CO2 has to be purified, in order to speed the growth of microalgae without killing it, what makes the Australian scientists discovery unique is that they have found a way to purify the CO2 without the giant cost and without having to use as much energy as traditional methods. The researchers, whose findings were published in the journal “Energy and Environmental Science,” explained that in their new method (which purifies the carbon dioxide in power station flue gases by absorbing it into a liquid) the liquid is pumped through hollow fiber membranes. These membranes are similar to extremely long drinking straws. The researchers explained that these drinking straw-like hallow fiber membranes can be immersed into the microalgae beds. The same method may also benefit other products in addition to biofuels. While more testing is required, this new method may prove to be beneficial for more than creating biofuels and other alternative fuel products in a cheaper and more environmentally-friendly way. The researchers said that this same approach can be used for other products, such as proteins, chemicals and nutraceuticals. How much more moderate? Biofuel production is already quite expensive so it would have to be a pretty big improvement in “…moderate cost…” to have biofuels be considered anything more than a renewable energy curiosity.